Patch Set Update (PSU) patches are cumulative. That is, the content of all previous PSUs is included in the latest PSU patch. PSU 11.2.0.1.2 includes the fixes listed in Section 5, “Bugs Fixed by This Patch”. Table 1 describes installation types and security content. For each installation type, it indicates the most recent PSU patch to include new security fixes that are pertinent to that installation type. If there are no security fixes to be applied to an installation type, then “None” is indicated. If a specific PSU is listed, then apply that or any later PSU patch to be current with security fixes. For a list of platforms that are supported in this Patch Set Update, see My Oracle Support Note 1060989.1 Critical Patch Update July 2010 Patch Availability Document for Oracle Products. You must use the OPatch utility version 11.2.0.1.0 or later to apply this patch. Oracle recommends that you use the latest released OPatch 11.2, which is available for download from My Oracle Support patch 6880880 by selecting the 11.2.0.0.0 release. For information about OPatch documentation, including any known issues, see My Oracle Support Note 293369.1 OPatch documentation list. These instructions are for all Oracle Database installations. Before you install PSU 11.2.0.1.2, perform the following actions to check the environment and to detect and resolve any one-off patch conflicts. For Linux x86 and Linux x86-64 platforms, install either (A) the bug fix for 8898852 and the Database PSU patch 9654983, or (B) the Grid Infrastructure PSU patch 9343627. For all other platforms, no action is required. The fix for 8898852 was included in the base 11.2.0.1.0 release. For an introduction to the PSU one-off patch concepts, see “Patch Set Updates Patch Conflict Resolution” in My Oracle Support Note 854428.1 Patch Set Updates for Oracle Products. The fastest and easiest way to determine whether you have one-off patches in the Oracle home that conflict with the PSU, and to get the necessary conflict resolution patches, is to use the Patch Recommendations and Patch Plans features on the Patches & Updates tab in My Oracle Support. 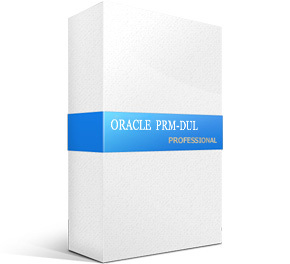 These features work in conjunction with the My Oracle Support Configuration Manager. Recorded training sessions on these features can be found in Note 603505.1. The report will indicate the patches that conflict with PSU 9654983 and the patches for which PSU 9654983 is a superset.Note that Oracle proactively provides PSU 11.2.0.1.2 one-off patches for common conflicts. Use My Oracle Support Note 1061295.1 Patch Set Updates – One-off Patch Conflict Resolution to determine, for each conflicting patch, whether a conflict resolution patch is already available, and if you need to request a new conflict resolution patch or if the conflict may be ignored. When all the one-off patches that you have requested are available at My Oracle Support, proceed with Section 2.3.2, “Patch Installation Instructions”. If you are using a Data Guard Physical Standby database, you must first install this patch on the primary database before installing the patch on the physical standby database. It is not supported to install this patch on the physical standby database before installing the patch on the primary database. For more information, see My Oracle Support Note 278641.1. If this is a RAC environment, choose one of the patch installation methods provided by OPatch (rolling, all node, or minimum downtime), and shutdown instances and listeners as appropriate for the installation method selected.This PSU patch is rolling RAC installable. Refer to My Oracle Support Note 244241.1 Rolling Patch – OPatch Support for RAC. If this is not a RAC environment, shut down all instances and listeners associated with the Oracle home that you are updating. For more information, see Oracle Database Administrator’s Guide. If there are errors, refer to Section 3, “Known Issues”. Apply conflict resolution patches as explained in Section 2.3.3.1. Load modified SQL files into the database, as explained in Section 2.3.3.2. Apply the patch conflict resolution one-off patches that were determined to be needed when you performed the steps in Section 2.3.1.3, “One-off Patch Conflict Detection and Resolution”. The catbundle.sql execution is reflected in the dba_registry_history view by a row associated with bundle series PSU. For information about the catbundle.sql script, see My Oracle Support Note 605795.1 Introduction to Oracle Database catbundle.sql. where TIMESTAMP is of the form YYYYMMMDD_HH_MM_SS. If there are errors, refer to Section 3, “Known Issues”. These instructions are for a database that is created or upgraded after the installation of PSU 11.2.0.1.2. These instructions apply if you need to deinstall the patch. Verify that an $ORACLE_HOME/rdbms/admin/catbundle_PSU_<database SID>_ROLLBACK.sql file exists for each database associated with this ORACLE_HOME. If this is not the case, you must execute the steps in Section 2.3.3.2, “Loading Modified SQL Files into the Database” against the database before deinstalling the PSU. Shut down all instances and listeners associated with the Oracle home that you are updating. For more information, see Oracle Database Administrator’s Guide. Run the OPatch utility specifying the rollback argument as follows. In a RAC environment, the name of the rollback script will have the format catbundle_PSU_<database SID PREFIX>_ROLLBACK.sql. Check the log file for any errors. The log file is found in $ORACLE_HOME/cfgtoollogs/catbundle and is named catbundle_PSU_<database SID>_ROLLBACK_<TIMESTAMP>.log where TIMESTAMP is of the form YYYYMMMDD_HH_MM_SS. If there are errors, refer to Section 3, “Known Issues”. Shut down the instance on the node. Follow the instructions listed in Section Section 2.4.2, “Patch Post-Deinstallation Instructions for a Non-RAC Environment” only on the node for which the steps in Section 2.3.3.2, “Loading Modified SQL Files into the Database” were executed during the patch application. All other instances can be started and accessed as usual while you are executing the deinstallation steps. For information about OPatch issues, see My Oracle Support Note 293369.1 OPatch documentation list. For issues documented after the release of this PSU, see My Oracle Support Note 1089071.1 Oracle Database Patch Set Update 11.2.0.1.2 Known Issues. Other known issues are as follows. ORA-06512: at line <line number>. If this error follow any of above errors, then can be safely ignored. The following documents are references for this patch. This patch includes the following bug fixes. 9011088 – [11GR2]ADDING COLUMN TO COMPRESSED TABLE, DATA LOSS OCCURED.